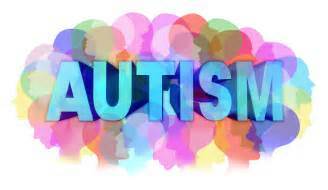 The word autism was coined by the Swiss Psychiatrist Eugine Bleuler in 1910. In 1938, Hans Asperger of the Vienna University Hospital adopted Bleuler’s terminology and in 1981 the Clinical Community widely recognized Autism as a separate diagnosis. Autism is classified as a Pervasive Developmental Disorder affecting young children and adults in which impaired development in communication, social interaction and behaviour are more pronounced. The degree of autism can range from mild to severe. According to the DSM4 (The Diagnostic and Statistical Manual of Mental Disorders) the essential features of Autistic Disorder are the presence of markedly abnormal or impaired development in social interaction and communication and a markedly restricted repertoire of activity and interests. Manifestations of the disorder vary greatly depending on the developmental level and age of the individual. Some researches have speculated the genetic basis in Autism. Although some have queried childhood vaccines as the causing agent the vaccine hypotheses lack any convincing scientific evidence. Therefore, contemporary views deny the vaccine theory. There have been numerous studies and theories about the cause of Autism. Researchers believe it is multifactoral. Abnormal development of the brain inborn errors of metabolism and viral effects are under speculation. Recent studies have found that the gene for at least one kind of familial autism may be on chromosome 13. The holistic view highlights combination of environmental (including infections, toxins, nutrition) and genetic factors contribute to the development of autism. The prevalence of the Autistic Spectrum Disorder is about 6 per 1,000 people with about four times as many boys as girls. (Rutter M 2005). Higher numbers of cases have been reported since 1980 may be due to awareness and sophisticated diagnostic tools, but some point out environmental pollution and a higher range of artificial chemicals in food affects the genetic factor. Autism can cause structural and functional changes in the brain. Therefore, symptoms tend to continue through adulthood. Autism affects children of all races and nationalities. Studies show that boys are three to four times more likely to develop autism than girls are. Families who have one child with autism have an increased risk of having another child with the disorder. Research increasingly suggests that having an older father may increase a child’s risk of autism. One large study showed that children born to men 40 years or older were almost six times more likely to have autism spectrum disorder than were children born to men younger than 30 years. Autism typically appears during the first three years of life. Autistic children show less attention to social stimuli, a reciprocal smile, (often not responding to their names), less attachment towards their caregivers, meagre eye contact. Sometimes Autism is associated with aggression, destruction of property, and tantrums .Children with a history of language impairment can go into tantrums quite frequently. Autistic children can display many forms of stereotyped (hand flapping, head rolling, or body rocking), compulsive behaviour (follow strict rules such as arranging objects, resistance to change), repetitive behaviour, ritualistic behaviour and restricted behaviour (limited in focus, interest, or activity) Autistic children fail to form the normal social contacts. Affected behaviours can include facial expressions and body postures as well. Although Autistic individuals demonstrate affection and bonding may differ from others, many are capable of exhibiting in their own way. They find difficult to develop normal peer and sibling relationships. Habitually the child seems isolated. Affected children have little interest in normal age-appropriate activities. Deficits in language comprehension include the inability to understand simple directions, questions, or commands. Sometimes hypersensitivity to sensory input through vision, hearing, or touch is associated. A qualified child Psychiatrist must make the diagnosis after a series of clinical observations. Early diagnosis is important because early intervention can be recommended. Comprehensive assessment and evaluation must be done to establish the diagnosis and determine the level of deviation. There is no magic bullet for the treatment of Autism. Treatment models are designed for the educational and clinical settings. Treatment options may include different modes. Behaviour analysis should be done via careful longitudinal and sometime surreptitious observations. Behaviour analysis would help the therapist to modify the erroneous behaviour. Modification of the environment would help the child to minimize unwanted and disturbing stimuli. Creating a safety environment around the child is essential. Some autistic children have accident-prone features. The child should be exposed to favourable stimuli that would enhance his communication skills and cognitive development. Behaviour modifications focus on reducing problem behaviours and teaching new skills. Other programmes focus on teaching children how to act in social situations or how to communicate better with other people. Some autistic children lack marked impairment in speech and language skills. Speech and language therapies have been developed to address the range of social and language difficulties associated with autism. The chief focus of skill development for children with autism is communication because it is the most pervasive area of developmental delay. Communication is most crucial for socialization and cognitive development, and it relates to the occurrence of problem behaviours. Instruction in communication is designed to provide a generative tool that will serve many immediate needs throughout the child’s life. Sometimes medication has been prescribed to control repetitive and aggressive behaviours. Medication should be prescribed by a qualified Physician after intricate clinical analysis. Children with autism often respond well to highly structured educationprograms. These educational programmes are geared to improve reading skills, writing skills and develop mathematical ability. Children with autism often respond well to highly structured education programmes. Successful programmes often include a team of specialists and a variety of activities to improve social skills, communication and behaviour. Educational Psychologists advise autistic children should be placed in a mainstreamed classroom to absorb vicarious learning from the healthy children and minimize social discrimination. Apart from the normal educational programme, autistic children need extra lesions and special educational therapy. In educational therapeutic environment autistic children are benefited by Speech language therapy, Social skills therapy, Occupational therapy, Sensory Integration therapy and Integrated Cognitive therapy. Autistic children have aesthetic skills that can be aroused in therapeutic settings for growth promotion. Art Therapy provides them to express themselves creatively and artistically, using a wide variety of art materials. The power of music should not be undermined in the treatment. It can be used as a healer, relaxation mode and to reduce impulsivity. Play therapy enhances autistic children’s own interests or obsessions to develop relationships and social/communication skills. Various colourful toys can be used to pick the child’s interest and attention. Play therapy builds reciprocal skills, imaginative skills and sometimes-abstract thinking skills (putting together puzzles, solving problems) give knowledge and enjoyment as well. As a complementary approach, some researchers recommend diet, vitamins, and minerals to affected children. Professor Vevskaya a researcher in Spectrum Disorders recommends natural food supplements without artificial ingredients for Autistic children since food allergies can negatively affect the metabolism. Some Australian researchers too concur and in addition, recommend natural bees honey as a good food source for these children. Parents are often devastated when they hear that the child is being diagnosed with Autism. Parents too need counselling on how to cope with an autistic child and they should be taught how to enjoy the child’s ongoing success and not to compare him with other children, not to be over vigilant about child’s behaviour in public. With appropriate treatment and guidance the child can successfully become himself which is worth to them the whole wide world. Autistic children can be trained as fun lovers. Sitting and cuddling together, tickling, hugging give more warmth, affection and ease to the parents rather than thinking and suffering. Other families struggling with the challenges of autism can be a source of useful advice. Many communities have support groups for parents and siblings of children with autism. Do not regard other people’s opinions and comments. The autistic child has a mind of his own even enjoying the childishness of his autistic behaviour would give more satisfaction and stress release to the parent. Autistic individuals must be taught how to communicate and interact with others. Parents of an autistic child must continually educate themselves and help the child to develop. Parents are the best mentors if trained properly to handle autistic children. Every person on the autism spectrum is unique. About 10% of people with autism have some form of gifted features such as memorizing lists, calculating calendar dates, drawing, or musical ability. The famous Hollywood movie Rain Man (starring Dustin Hoffman) narrates a series of gifted and specific abilities of an Autistic person. Therefore, the parents should discover and improve the stereotyped gifted feature in the child rather than comparing and judging him. You have missed critical facts relating to this subject now let me give you some legitimate facts. Vaccine and Autism relationship was first presented by Dr Andrew wakefield, this went viral and there was huge pressure mounted against vaccine manufactures, 1998 research paper was submitted by Dr Andrew wakefield to prestigious medical journal The Lancet, very soon there was a huge media campaign vilifying Dr wakefield and two more doctors, all three of them lost their medical license. Only Professor John Walker-Smith was able to challenge this in British courts, according to him he had to spend Half a million sterling pounds for this court case alone. Since Professor John Walker-Smith had huge support from his patients there was a campaign to fund his court case, because of this he was able challenge it. He manage to win his court case. Even though there was huge publicity to vilify these doctors this winning cases was not reported widely in the media. Also in order to remove Dr wakefield medical licensee General Medical Council used a specific study conducted by Centers for Disease Control and Prevention (CDC) in USA on the year 2004 by Dr William Thompson and two other senior doctors. Conclusion of that study was that THERE IS NO LINK BETWEEN MMR Vaccine and Autism. 10 years went by Dr William Thompson confessed that they have destroyed DATA showing the link between and MMR vaccine and Autism. Now you can see this is not a fake news, yet this was not reported in the media. Now Doctor are you still in the dark, your figures had got drastically changed by now. It is 1 in 45 now, so you still say this is Genetic problem? I have only one request, whenever you visit a children’s hospital try to find a retired children’s specialist and take him or her to a children’s ward and ask him /her whether they have seen this much of Autistic children, when they are practicing medicine. Or you can use your commonsense think how many fellow Autistic school friends you had when you are schooling? By the time you replied I deleted it to make few corrections. I followed this subject extensively since one of my friend’s child had got affected, at the start I did not have a clue, but since I had experience how to find credible sources I was able to see what is actually going on. And high quality once can be found in USA but most of these best medicines are not available to buy in Sri Lanka, they did manage to buy a good brand, I don’t want to say it here since it will become an advertisement. My Advice to people is try to search the web and learn to identify credible sources, it is true you cannot take drugs without a doctor’s advice but once a doctor prescribe medication you certainly can find out about its side effects and get to know how its effecting you. Finally it is a huge crime what these doctors are doing knowingly or unknowingly because these poor kids are been given powerful anti-depressant. I understand you cannot protest what is taking place, if you do it’s only putting yourself in danger because this parasitical industry is very powerful but you certainly can enlighten people how to save their self from this crime by helping them to find out credible sours. For example https://www.cdc.gov/vaccines/pubs/pinkbook/downloads/appendices/b/excipient-table-2.pdf this is a credible source “Thiomersal” vaccine ingredient Thiomersal is what most of us know as Ethyl mercury. By presenting these information those who have knowledge will be able to save their self.